The video, Reunion (a History), is a series of pairs of photographs showing the travels, reunion, and separation of two almost identical coasters from Jerusalem. I found the coasters at a second hand shop in Assen, NL. Later, one coaster was lost and the other one was sent to America. When the lost coaster reappeared, I began a project to reunite them. This video shows their individual journeys, reunion, and common travels. 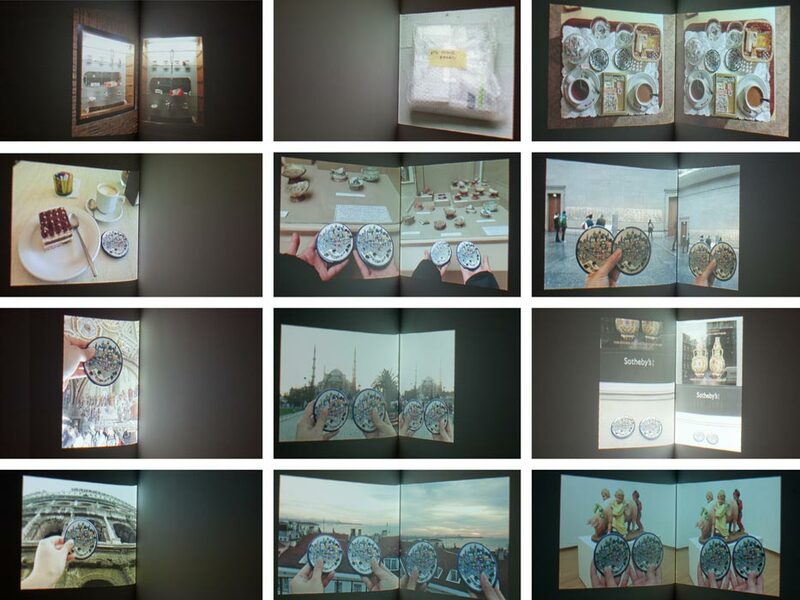 The video shows 63 pairs of still images and runs 12:36 minutes then loops.